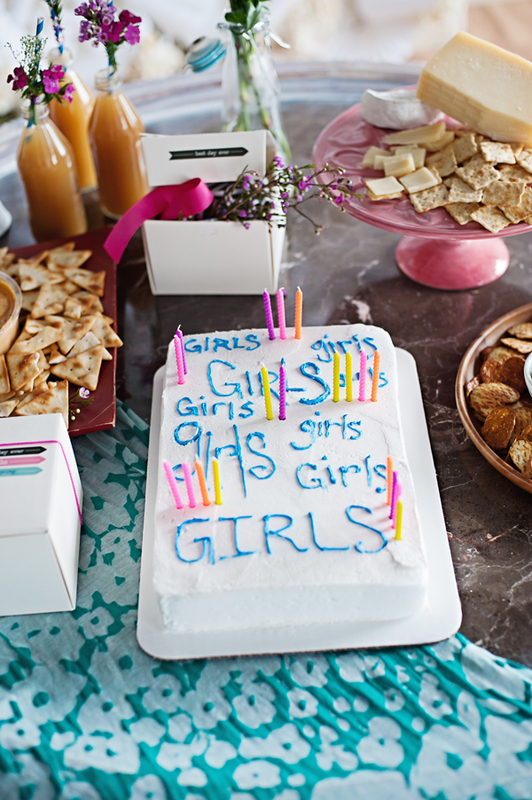 Hosting a girls night in is always more fun when you add in crafts! 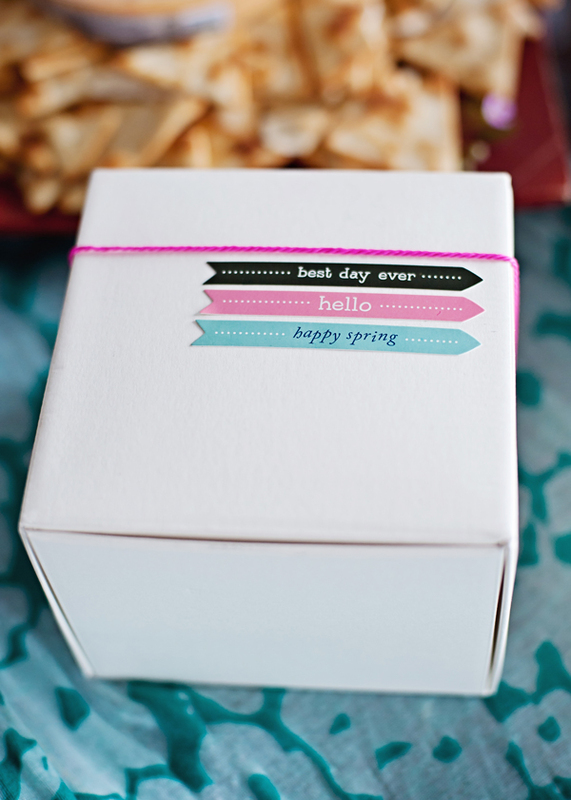 Taking cues from the budding flowers of spring, I hosted a little Easter party. The evening was a fun combination of crafts, great food pairings, and a couple of sweet spring surprises, like floral wrapped straws. It was an awesome gathering to get us all in the springy Easter mood. I love this Easter party idea! 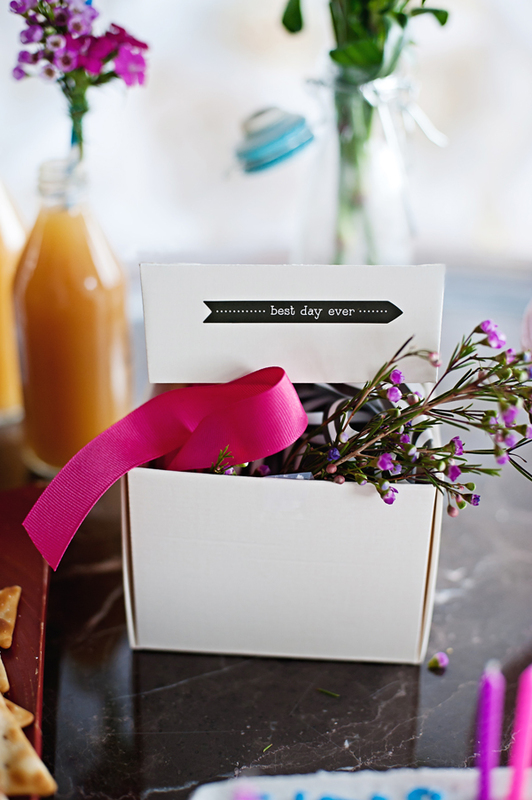 Each guest got a favor box filled with everything needed to craft an Easter wreath. 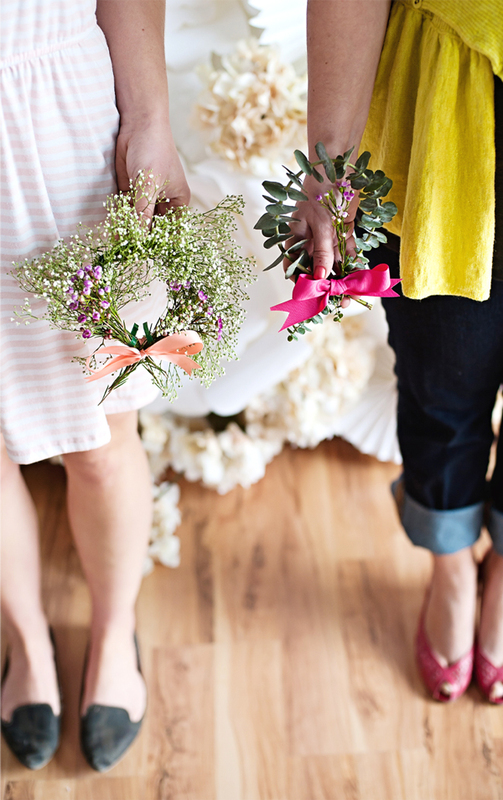 We used a combination of ribbons, floral wire, scissors and bunches of local spring flowers to create the wreaths. 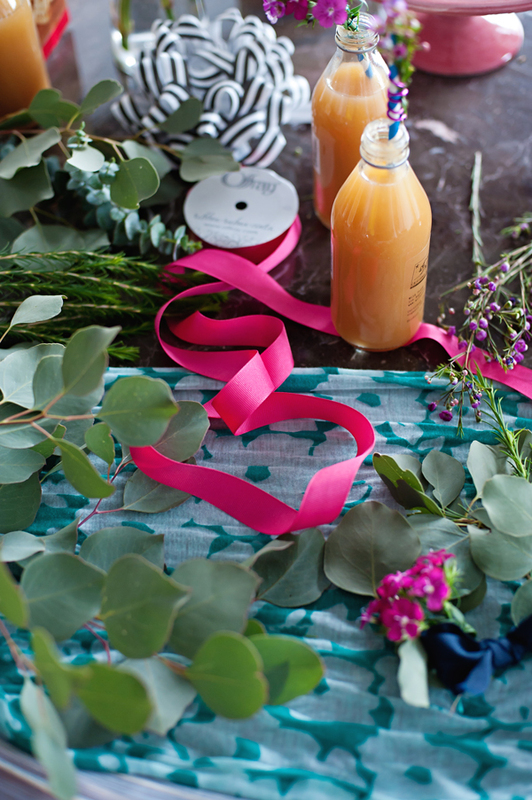 The ribbons and materials were given in the boxes and the flowers set out amongst the tables to grab from as needed. Setting up the space this way gave us pretty party decorations that doubled as craft supplies. It isn’t an Easter party without some fun Easter party games! Here are a few of my favorites! I love these games you can play with just Jelly Beans! So fun! This bunny carrot toss is just the cutest! And the classic poke the egg is a must! 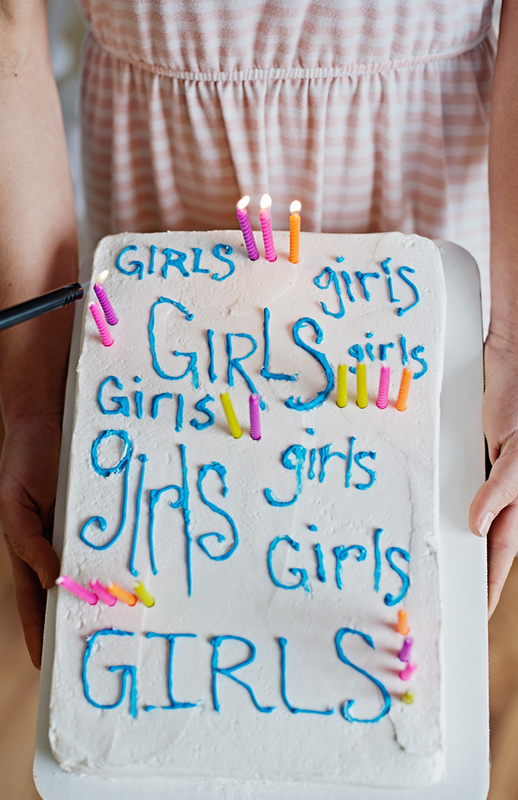 For a sweet Easter party ideas treat we used an icing pen to write on our cake, it was a whimsical cake detail that was easy to do and made everyone smile. 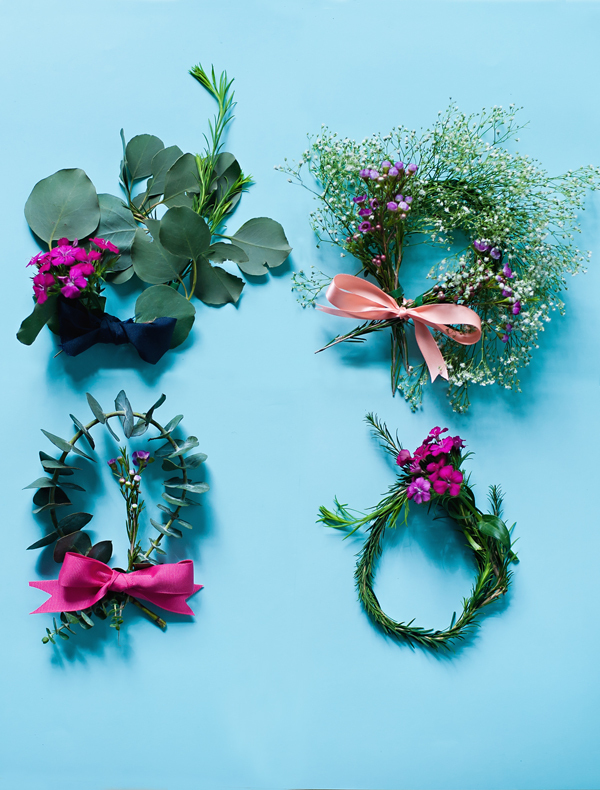 To make the wreaths, we started with a few sturdy bases; Rosemary, eucalyptus, and baby’s breath allowed each of our wreaths to take on good solid form. Making the wreaths in the miniature form allowed us to accomplish a project that was fun, but not too overwhelming. 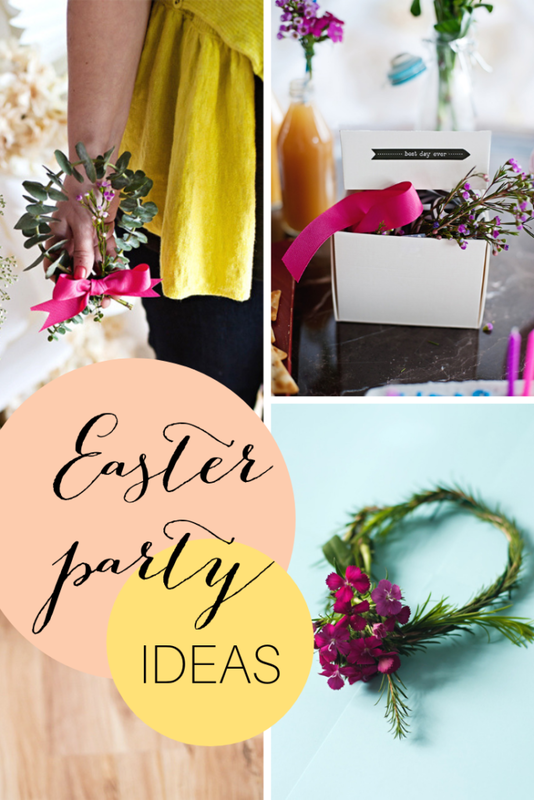 Plus this is a great Easter party ideas that the girls can take home to remember all the fun! 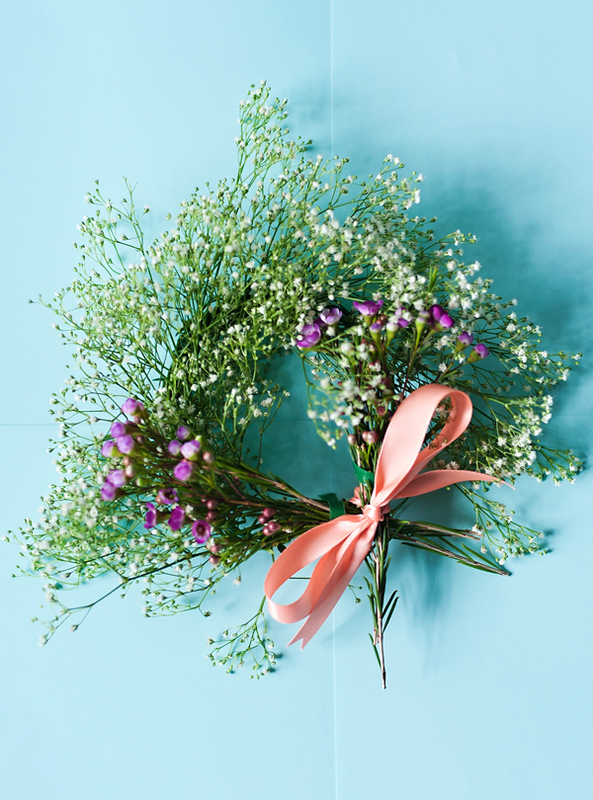 After securing our bases to the floral wire, then we added in bright spring blooms and a pretty ribbon to finish off the miniature Easter wreaths. The wreaths can be used to hang in windows, on doorknobs, from kitchen cabinets, or used to top sweets this season. 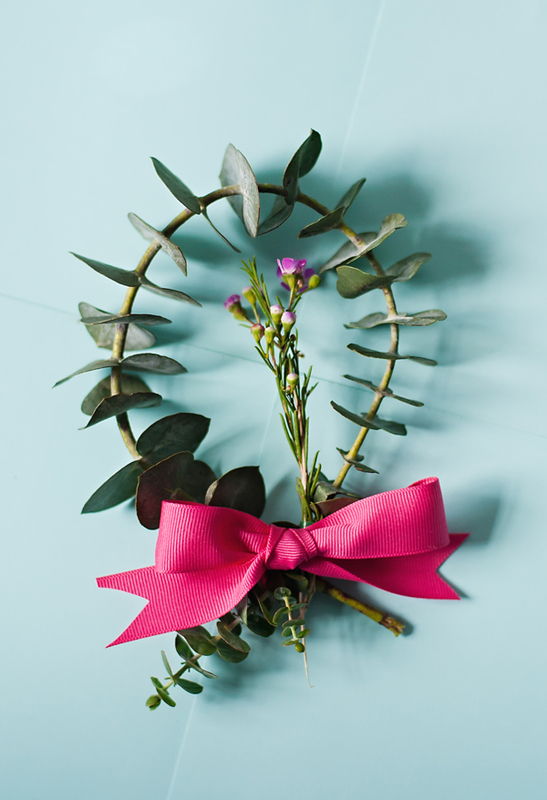 Making a miniature wreath is a craft almost anyone can accomplish. I have the best snacks for my Easter party snack ideas, because I used Townhouse crackers and paired them with a few of my favorite apps. The Town House® Flatbread Crisp are great bottoms to an array of awesome cheeses. 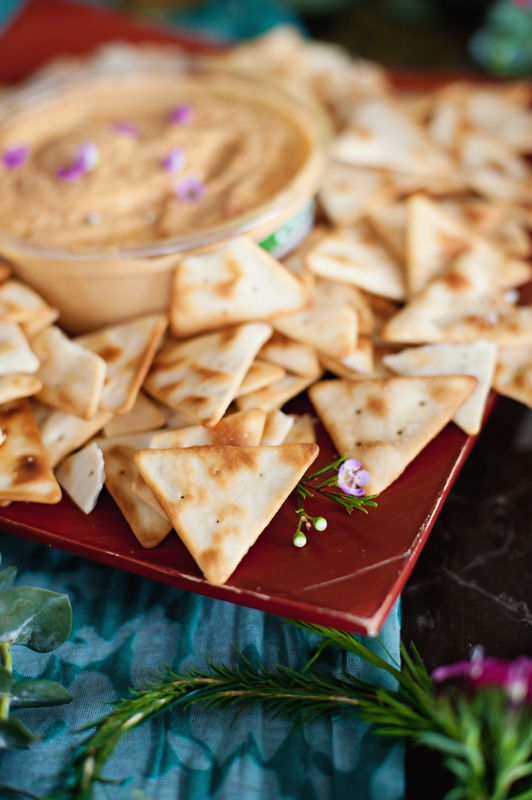 The Town House® Pita Crackers were the perfect dipping cracker with hummus. 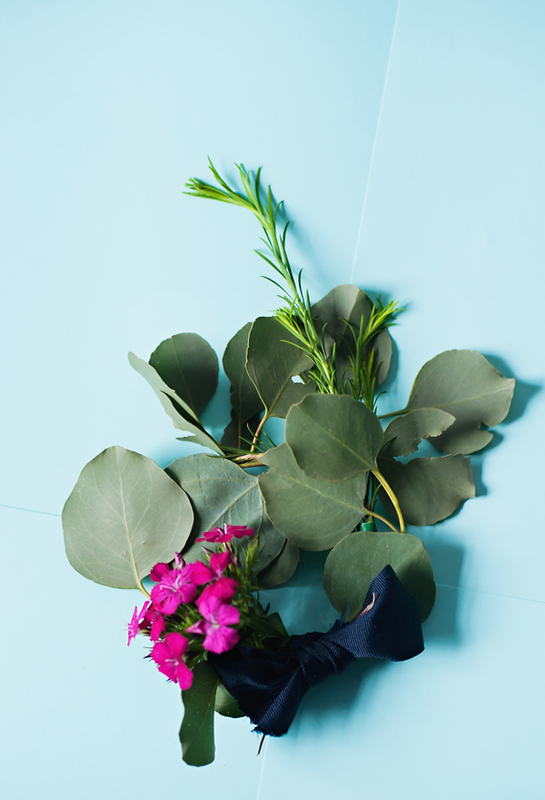 To bring a spring touch to this snack, we mixed in edible flowers. Sometimes it’s the littlest details that I find my friends loving the most! 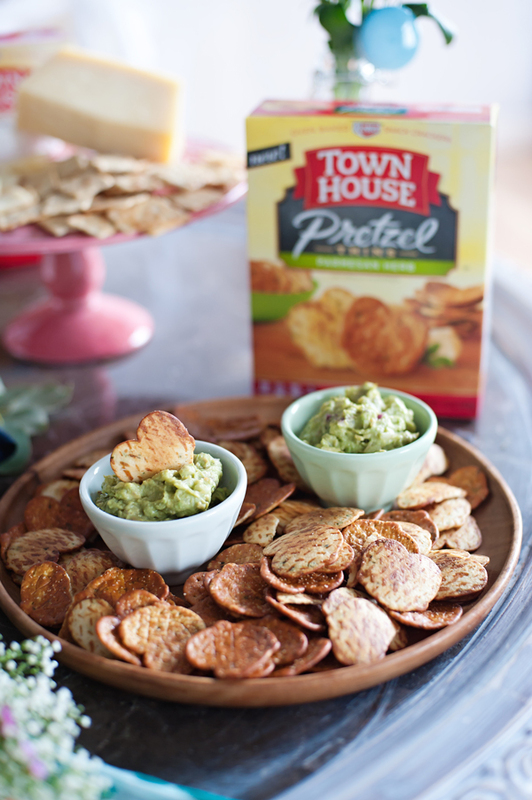 I also combined Town House® Pretzel Thins with my homemade guacamole – it was my favorite combination. Something about the spice of the guac with the crunchy saltiness of the pretzel cracker is my new favorite. The pretzel thins are really a mix of a pretzel and cracker – so good! I make guacamole almost every week and I don’t think to make it needs to be complicated, because I’d like to think it is a recipe I’ve perfected by now. Ha! My secret is a whole LOT of fresh lime juice and cilantro. It really makes the best taste for dipping. Mix 4 avocados, with 1/2 diced red onion, 1 diced Jalapeno, 1 full bunch of Cilantro, juice from 3 limes, 2 cloves minced garlic, and a dash of onion powder + salt to taste. I chop everything pretty coarsely in a large bowl and use our immersion blender to get a creamy and tasty mixture, and then allow the mixture to sit in the fridge for 2-3 hours. A bowl of my guac goes really quickly at a party; so make sure there is extra on hand. The Easter party was a fun welcome to spring and a great chance to gather with a few dear friends, and the food was easy, the drinks were yummy, and the Easter party games were a huge hit! 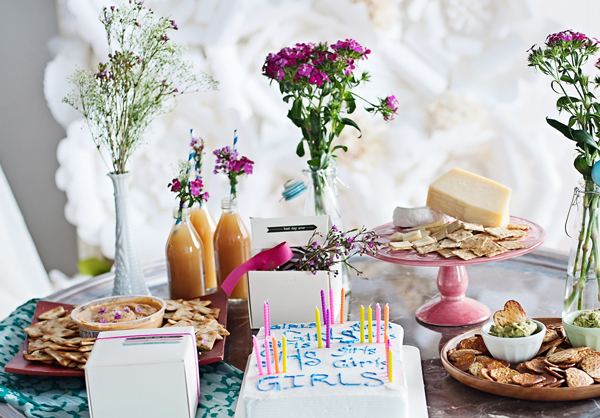 From presentably munch-able options to dipping inspiration, to versatile possibilities, we have the variety that will help her stylishly host any type of gathering – from planning to impromptu.